Banana fibers and other plant fibers can be converted into pulp for paper making. 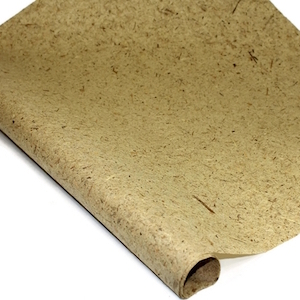 This offers a productive use of waste fibers for creating a local supply of paper and generating income. Once plant fibers are removed and dried, they are boiled, shredded and rinsed to create pulp. Local materials can be used to create a simple paper mold and deckle, which molds pulp into sheets of paper. The sheets are then pressed with a vice, dried and repressed to create the final paper products. For more information, download the guide to making a paper mold and deckle, and watch the step-by-step video on paper making, below.